Ingredients: Chinese green tea, dried apples, ginger, cinnamon, goji berries, star anise, safflower petals. Unflavoured tea! Taste: Savoury, with subtle ginger-anise note. Features&recomendation with food: Accompanied well with orient style noodle and dumpling dishes. 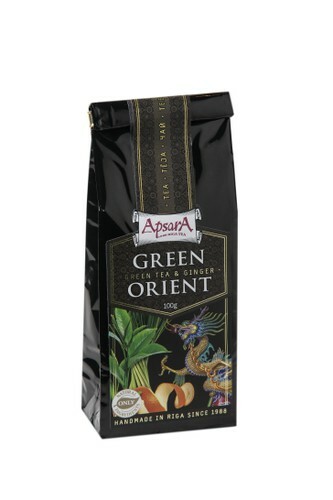 Product highligths: Green tea flavoured in a natural way with spices and berries native to South Asia.